The national swimming team march into camp today to finalise their preparations for the Junior Pan Pacific Championships which is on August 23-27 at the Damodar Aquatic Centre in Suva. The 36-member squad are going to face swimmers from Japan, Australia, United States of America, Canada, New Zealand, China, Republic of Korea, Singapore, Ecuador and Mexico. Fiji Swimming general manager David Dugu told SUNsports yesterday the swimmers are excited and looking forward to the competition. 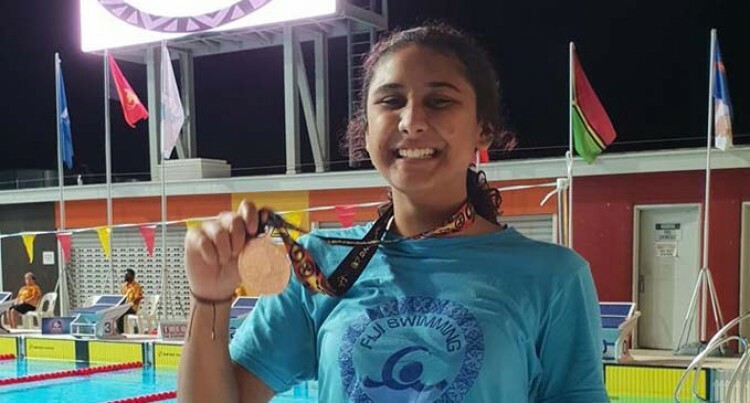 “Team Fiji will be going into camp on Sunday which means the swimmers from the West will be coming over to join the Suva swimmers,” he said. “They will remain in camp right to the last event of the day. We are excited and our preparation is on schedule as there are 11 teams coming over. Dugu said another reason of their excitement is that the competition will be a good platform to expose our upcoming swimmers. Meanwhile, the USA and Australian swimming teams arrive today. Girls: Rosemarie Rova, Rokowati Mara, Joan McGowan, Kathleen Levestem, Jodie Ann Puamau, Katarina Bobi, Esther Gonerogo, Caroline Fotofili, Marion Kotobalavu, Salanieta Kunatuba, Moana Liebgrets , Moana Wind, Jane Smith, Evita Yee, Aimee Elaisa and Angela Treman. Boys: Jayzon Requina, Troy Maivusaroko, Mosese Bobi, Wilson Erasito, Edward Vakatalai, Damien Kitione, Musashi Tada, Rhys Cheer, Jeremiah Faktaufon, Thomas Liebgrets, Hansel McCaig, Netani Ross, Hefu Erasito, James Kado, Jonathan Tudreu, Temafa Yalimaiwai, Samuel Yalimaiwai, Sheldon Chow, Calum Lobendahn.